Sell professionally produced print products directly from your gallery. We believe that in-person print viewings are the best way to maximise your sales. We are NOT recommending that you ONLY sell products via an online gallery. Quite the opposite in fact. However, an online gallery can give you the opportunity to extend your sales reach beyond your wedding couple. Other members of the family, friends and even vendors may wish to purchase printed products. Since the gallery is hooked up to a lab, you can rest assured that your prints will always be professionally produced. Selling from the gallery is completely optional. It's super simple to turn it on or off. When a sale takes place, your portion of the sale goes straight to your Stripe account and the balance goes to us so we can pay the lab on your behalf. No waiting around for your money and no commission to pay. When you've finished your sales process, surprise your client with their very own online gallery. They'll love you for it! It allows them to share their photos quickly and easily on social media and because your details are always included, every share opens you up to potential new business. Your client will also love the fact that they can save it as an app icon to their phone for easy access. It's a win win for everyone. Did you know that on average 65% of new business comes from referrals. Not only that but a person referred by a friend is 4 times more likely to buy plus they'll spend on average 13.2% more than regular customers. Don't let them pass you by - get out there and grab their attention! We've made it easier than ever for prospective clients to contact you from any of your galleries. 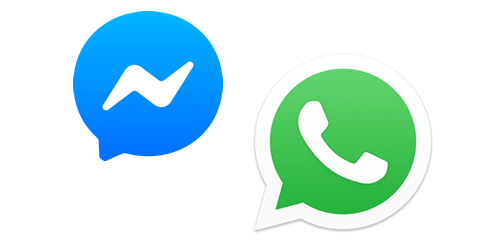 With just 1-click they can instantly contact you via Facebook Messenger or WhatsApp. Did you know that 63% of people don't want to take a call from a business? Their preferred way to communicate is messaging. It's instant, convenient and always at their fingertips. Save yourself HOURS of work and heartache! All of our galleries look great on any device and your client can purchase quickly and easily any time, anywhere. We only ever display your brand. All galleries include a photographer profile which includes your logo, a bio about yourself, contact information and links to your social media pages. 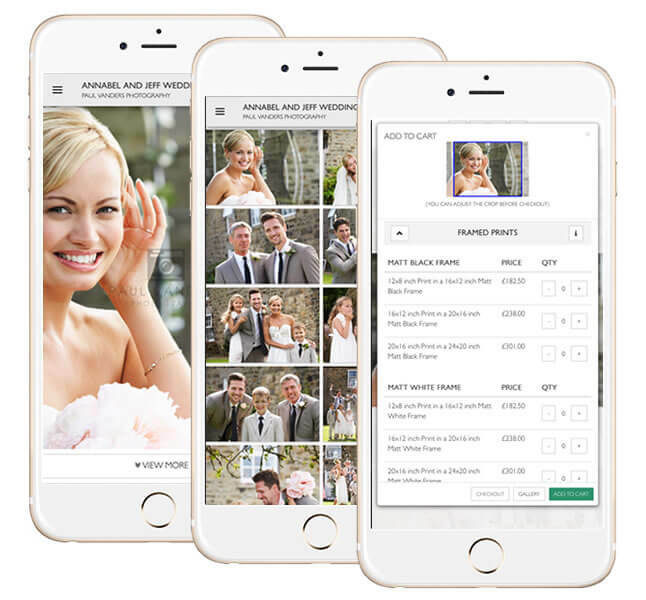 Give your client instant access to their gallery on their mobile phone. Simply text a link to them from your control panel. Available on PRO galleries or to subscription users only. You can embed your own slideshow or behind-the-scenes video from Animoto, YouTube, Vimeo or simply an MP4 file from your website within the gallery. People are all about sharing on social media and we've made it really easy for your client to share not only individual images but the entire gallery too. Worried about people stealing images? Use our super secure watermarking feature. Upload your watermark and we will automatically apply it to all photos in your gallery and slideshow. This will not affect any print orders made from the gallery. Available on PRO galleries or to subscription users only. Create a gallery, assign a price list and hey presto - you're ready to sell online! Not only can your clients purchase professional print products but so can their family and friends so it massively extends your sales reach. We don't take any commission on any of your sales, even if you're using our FREE100 gallery. You ALWAYS keep all of the profits. Make proofing easy and fun for both you and your client. Let them choose their favourites from their gallery and then you can instantly access them from your control panel. In fact, you can see everyone's favourites - not just your client's. Available on PRO galleries or to subscription users only. Your client can save their gallery as an icon on their phone screen for quick and easy access to their gallery. Create a unique easyShare URL for each gallery to make it easy for you and your clients to share. With just a couple of clicks, you can import your client's favourite images straight into Lightroom saving you heaps of time and heartache trying to locate image files on your computer. Available on PRO galleries or to subscription users only. 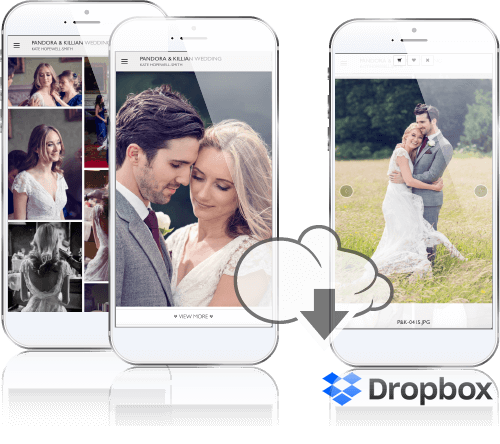 Allow your clients to download their photos directly from their gallery. They can pay a fee or you can make it free - the choice is yours! Available on PRO galleries or to subscription users only. "It offers a level of professionalism to all, whether you're just starting out or are a seasoned photographer, anyone could use it." 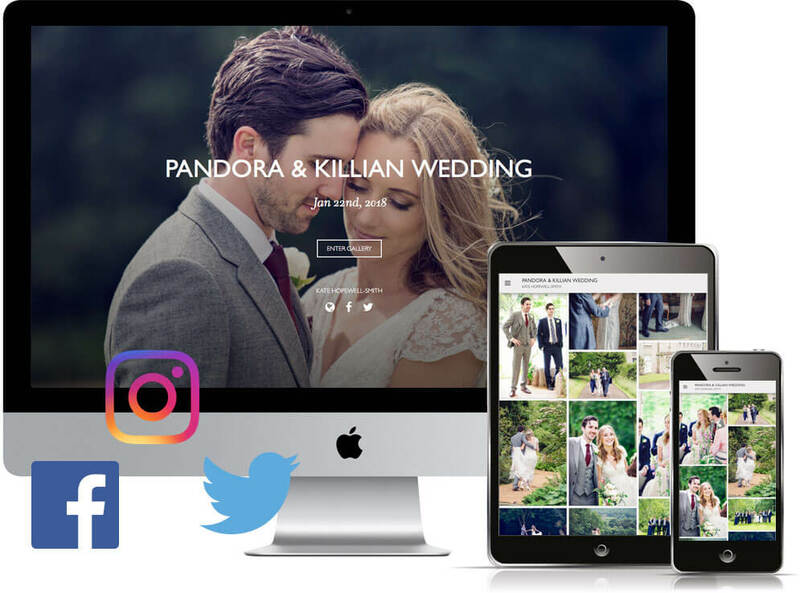 "I love the flexibility and the online images for my clients to share their images"
"It's so simple to use and looks great"
"3XM has revolutionised my photo sharing experience. I uploaded the first wedding on the weekend - and oh my! The picture quality is exceptional, the layout delightful and the easy to use interface makes it a joy for the client to use and also to share with friends and family." "It look so professional and very easy to use." When you register on the site, we will automatically add a PRO100 credit to your account. This allows you to create a 100 image PRO gallery with all features enabled. We also offer a free PRO100 gallery with every Premium Folio Box purchase. Your gallery credit is automatically added to your account when your purchase is complete. So why not give it a try - it will cost you nothing! If you need more than 100 images, you can simply upgrade your gallery at any time.